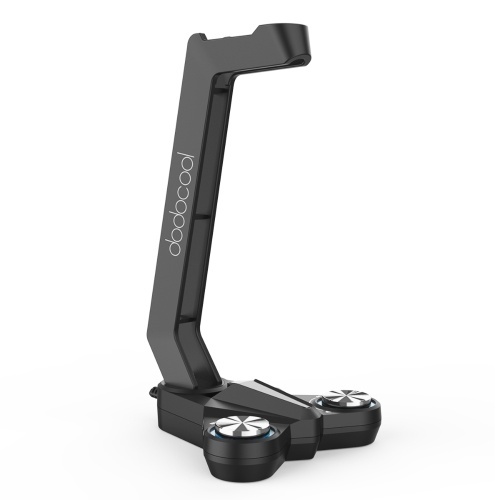 dodocool Portable Charging Case can store and charge your earphones at the same time. 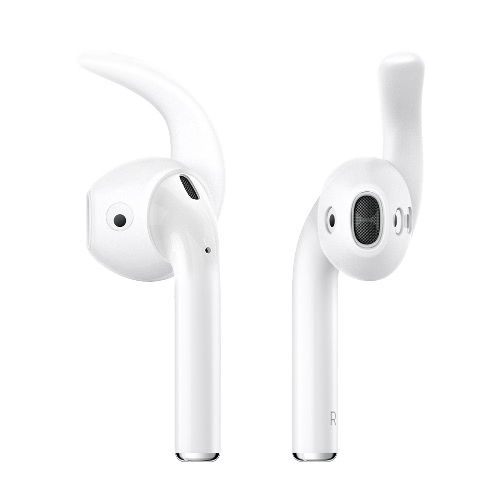 The built-in 500 mAh rechargeable battery lets you enjoy up to 16 hours of additional playtime for most wireless in-ear headphones. Meanwhile, the durable case protects your headphones from bumps, dents, and scratches. 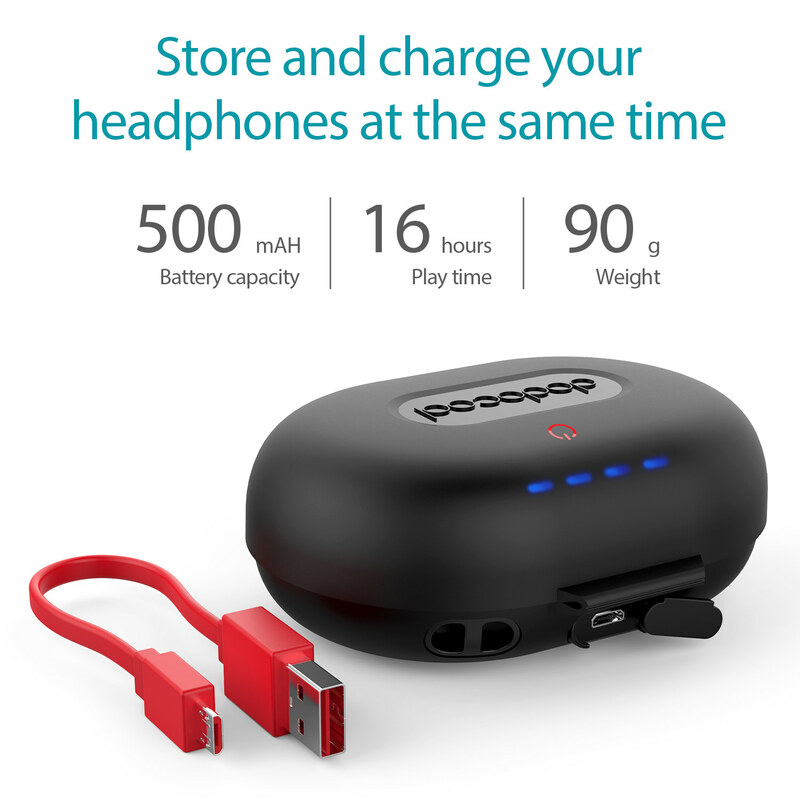 You can simultaneously charge the headphones and case battery or do a quick 15-minute recharge to get 1 hour of headphone playtime. 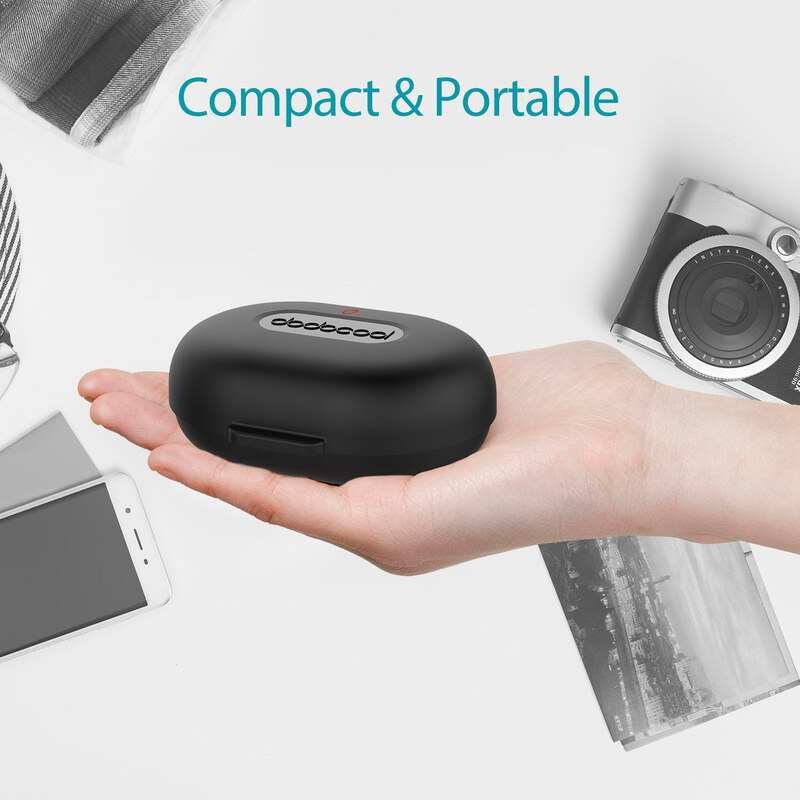 Compact and portable, you can take it with you wherever you go. Store and charge the earphone at the same time. 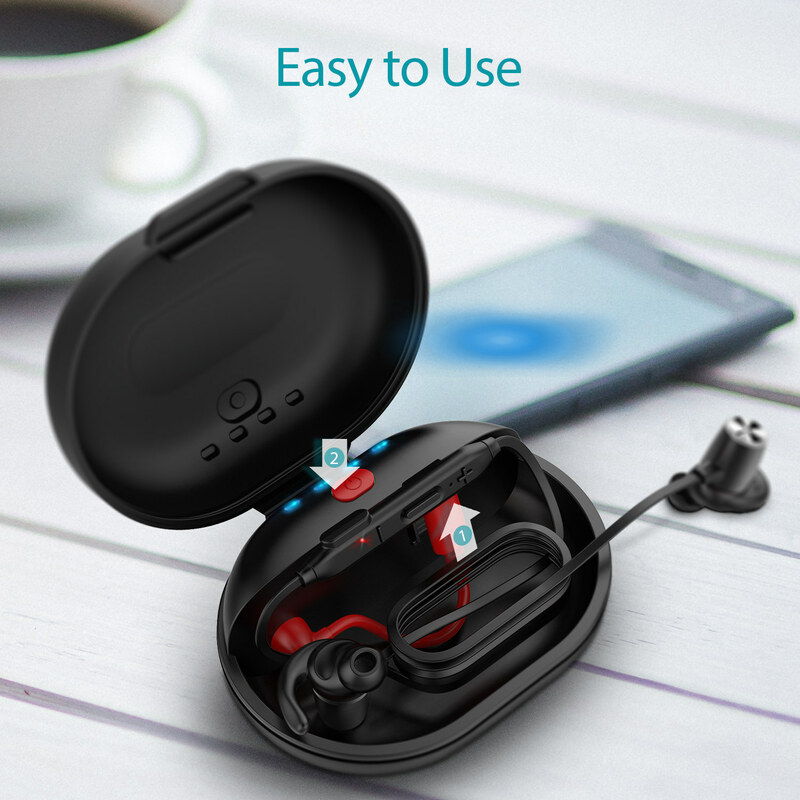 Compatible with most wireless in-ear headphones with Micro-USB charging port. 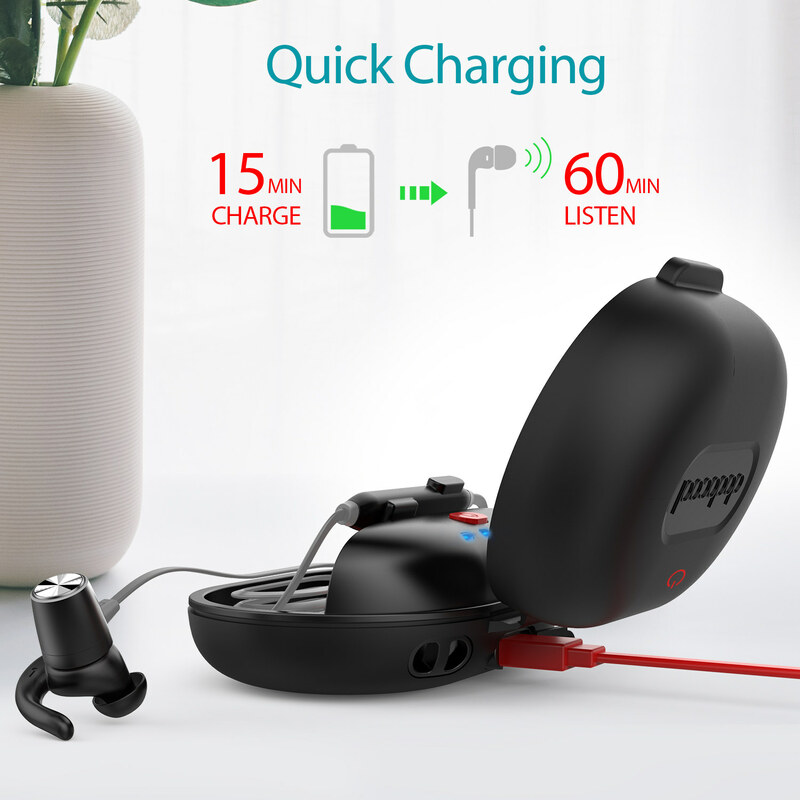 The built-in 500 mAh rechargeable lithium polymer battery lets you enjoy up to 16 hours of additional headphone playtime. You can simultaneously charge the charging case and your headphones. Or you can get up to 1 hour of headphone playtime from a quick 15-minute recharge. 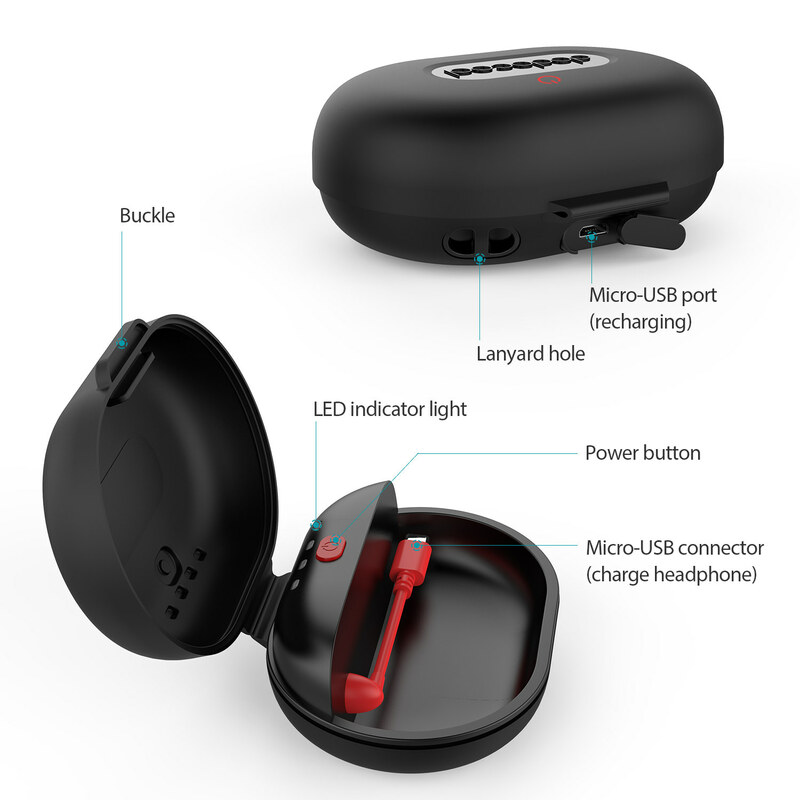 Just connect your headphone to the built-in Micro-USB cable, press the power button, and charging starts. You can also know the charging status and the battery level at a glance of the 4 blue LED indicators. The rugged yet stylish silicone material offers all-around protection for your beloved headphones and prevents them from bumps, dents, and scratches. 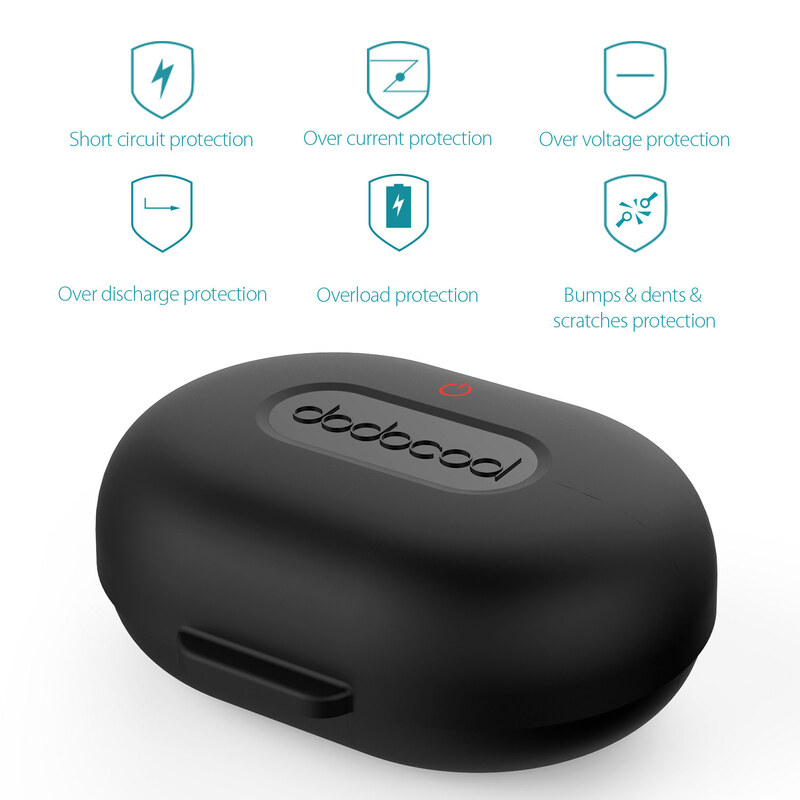 Built-in over current protection, over voltage protection, overcharge protection, over discharge protection, and short circuit protection ensure safe charging. 102.00 x 84.20 x 40.40 mm. Small and lightweight enough to be stored in your pocket, sport bag, or backpack. Convenient for carrying it on the go. Fit for gym workouts, running, jogging, cycling, climbing, and other indoor and outdoor activities.